BOSTON, MA – After a devastating elimination in the 2016 postseason, and in what turned out to be the final season in the career of Red Sox legend David Ortiz, the Boston Red Sox and now former manager John Farrell have parted ways. The Red Sox will interview multiple candidates, including minority candidates, for the open managerial job. Current bench coach Torey Lovullo, who excelled as interim manager at the conclusion of the 2015 season, is considered to be the leading candidate. Farrell, after all is said and done, leaves a complicated and mixed legacy with the Red Sox. As a player from 1987 to 1996, Farrell was plagued with injuries while amassing a lifetime win-loss record of 36-46. As a pitching coach for the Red Sox from 2007-2010, Farrell had success with young pitchers, especially Jon Lester, and helped the Red Sox to the 2007 World Series championship. 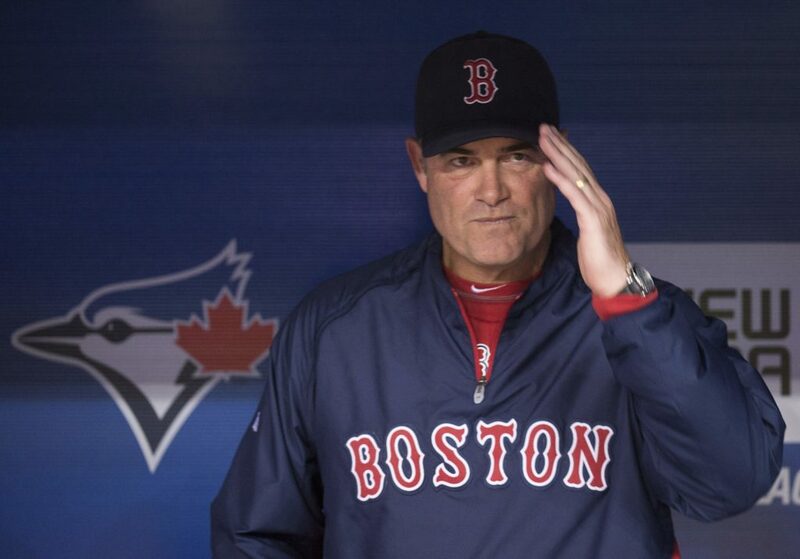 As a manager with the Toronto Blue Jays from 2011 to 2012, Farrell’s win-loss record was 154-170 (.475). Despite having a losing record in Toronto, Farrell was hired by the Red Sox and managed them for four seasons from 2013 to 2016. The 2013 season was the high point, as a team of overachievers played above their lifetime averages and unexpectedly brought home the third World Series championship in 10 years for the Red Sox. The 2014 and 2015 seasons were both complete disasters, with the Red Sox finishing in last place both seasons. And while the Red Sox had a potent offense and high hopes for the 2016 season, they largely underperformed both individually, compared to lifetime averages, and as a team, comparing their actual win-loss record to their expected win-loss (XWL) record. The way the 2016 season ended was both devastating to Red Sox fans and unacceptable to the Red Sox front office. As such, Farrell was let go. Media and fans alike complained that Farrell did not have a strong enough bullpen to win the World Series. In fact, general manager Dave Dombrowski’s Achilles heel has been his inability to develop a winning bullpen. However, when you look at the data, you can see that Farrell rarely gave his relievers a chance at a clean inning, instead routinely leaving starting pitchers in too long. Had Farrell routinely taken pitchers out between innings after they had thrown 90+ pitches, the starters would have thrown fewer pitches, the starters would have been been more rested for their next start, and the relievers would have been put in better positions to succeed. The Elias Sports Bureau reports that no MLB manger made more on-the-mound pitching changes than Farrell during the 2016 season. This resulted in overworking both the starters and the relievers. So it’s not that the Red Sox bullpen was beleaguered, rather that Farrell’s mismanagement of the entire roster routinely put players – and ultimately the team – in a position to fail. Not surprisingly, the 2016 Red Sox also led the league in inherited runs scored. The club has set no timetable for the search for and hiring of a new manager.